Its Halloween here in US!! Fresh pumpkins are pouring out of local markets. We got our pumpkin from a local farm festival. It was so much fun there and we got ourselves lost for hours picking and eating different kinds of apples, fresh rasberries and also bagging vegetables to take home. I saw families along with children walking in acres of pumpkin patches, choosing and carrying their large pumpkins and wondered whether they would carve it or cook it. I got myself a much smaller pumpkin as I never cooked with pumpkin before. After some research on internet on different pumpkin desserts and recipes, yesterday night I roasted it and scooped out fresh puree (it gave me 4 cups of puree..:) ) and refrigerated it in Ziploc bags. The classic pumpkin spiced bread is what attracted my attention among the recipes as I knew, it will relieve me from fixing breakfast for the next few days. And also pumpkin itself is healthy and loaded with antioxidants, vitamins and minerals. 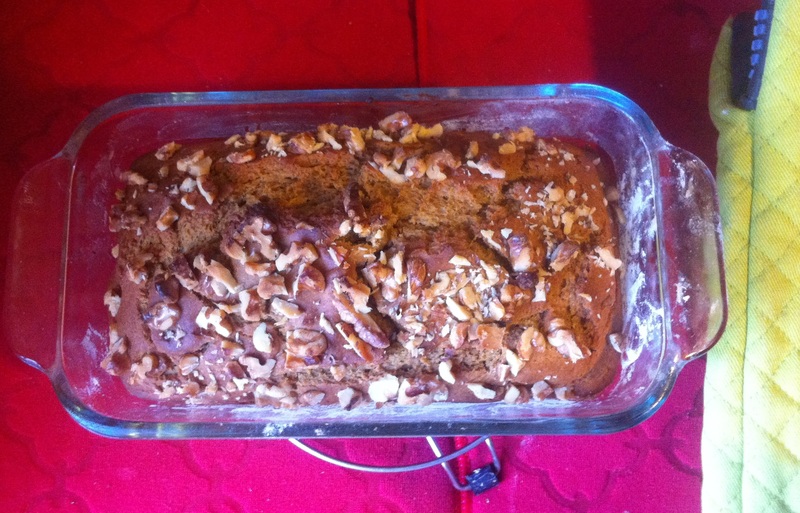 This pumpkin bread is aptly sweet, moist and flavorful and has a little less calories than traditional one. Serve the slices as breakfast with a cup of tea or dessert by topping with some whipped cream cheese frosting(or just on its own). The recipe is adapted from ahealthylifeforme.com and I substituted more than half of the refined flour with whole wheat and cut back on sugar by 1/4 cup and used little more spices. 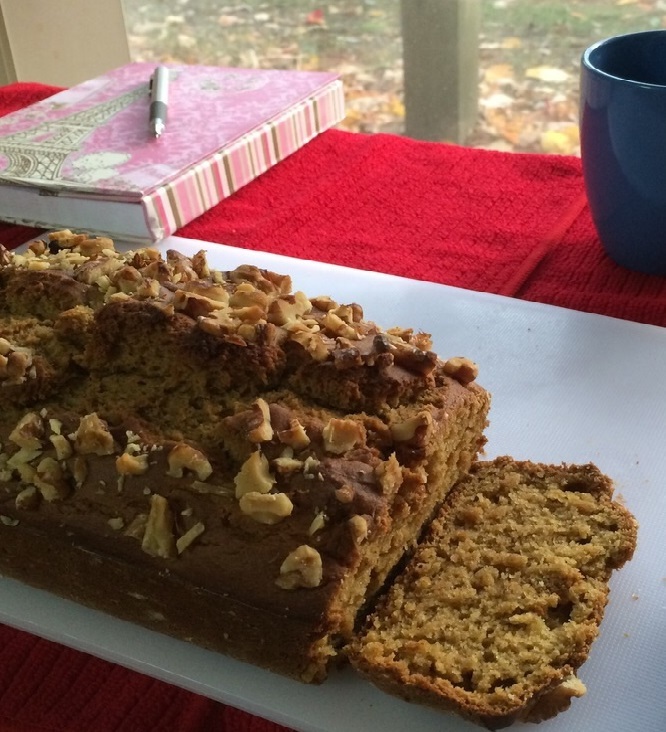 Enjoy this guilt free pumpkin bread this holiday season and freeze them for later use.